Mix the marinade ingredients together, and put the marinade, and chicken thighs in a large sealable plastic bag. Give it a good shake to ensure that the chicken is well coated. Leave to marinade for at least 2-3 hours. Thread the chicken on skewers. 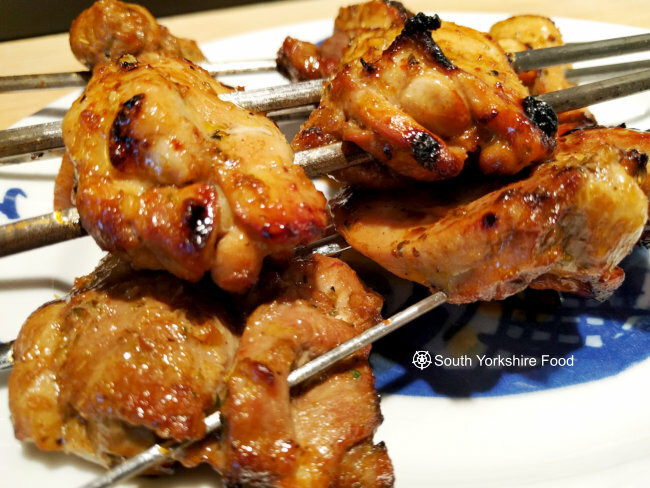 Using two skewers through two or three peices of meat allows plently of space for the chicken to grill evenly, and makes turning the skewers over much easier. Grill for about 5 minutes a side until well cooked through. The skewers are best grilled on a charcoal barbeque, but will still taste really great if cooked on the kitchen grill.